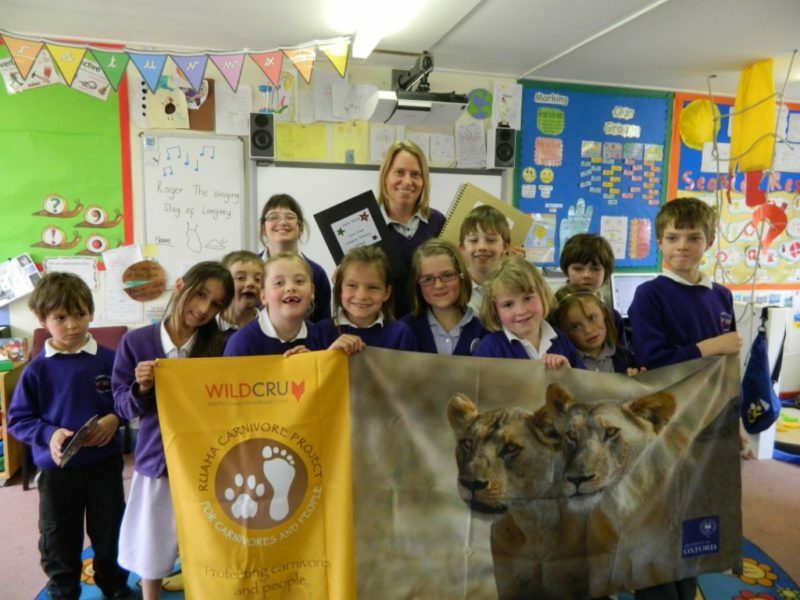 Better access to education and educational materials for children was one of the benefits that villagers most wanted to see from the presence of wildlife in the local area. Kids 4 Cats is the programme we have developed to improve the situation in primary schools around Ruaha. 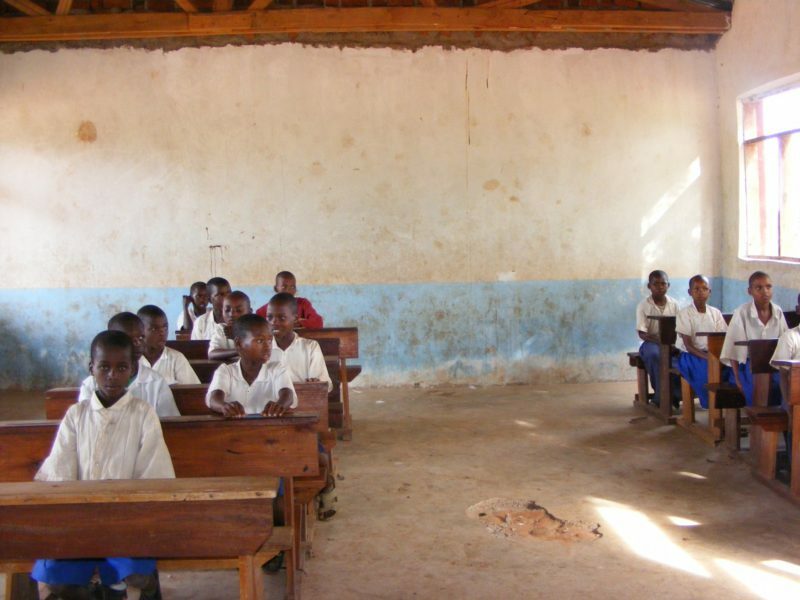 Although primary school is free and most children attend, many leave school functionally illiterate, as there is very limited availability of the most basic equipment, such as pens, textbooks and desks. 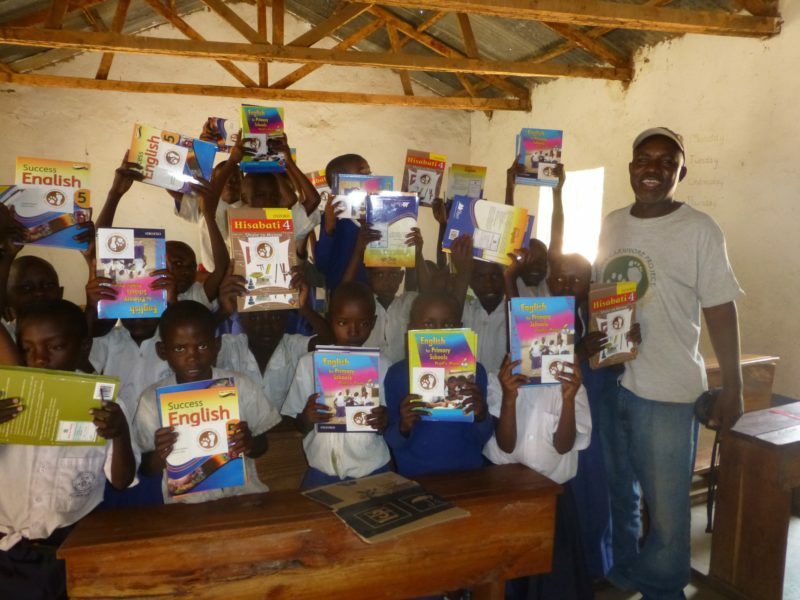 Under the Kids 4 Cats programme, we enable the twinning of local village schools around Ruaha (both primary and secondary level) with schools in the US, UK and other developed countries. The developed-world school commits to raising at least US$500 per year for their twin village school, which writes a budget for the most-needed items. The Ruaha Carnivore Project then purchases the items requested and distributes them to the village schools. This programme has had a huge impact on local schools, and is providing primary school children with the fundamental equipment they need for success. It also helps raise awareness amongst developed-world students about the challenges that students elsewhere in the world face, such as having no toilets at the school, no access to school meals, often no electricity, and having to walk long distances (often braving wild animals such as elephants and lions) just to get to school.